Driade produces the armchair Lord Yo designed by star designer Philippe Starck since 1994. Lord Yo does not only feature a great look, but offers a lot of sitting comfort, too. Also, the popular armchair is stackable (max. 4 pieces) and due to its plastic material also suitable for use outside: perfect for cafés, terraces or in the garden at home. The frame consists of aluminium, the legs are specially anodised. The frame is finished in stained-finish pression die-casting. 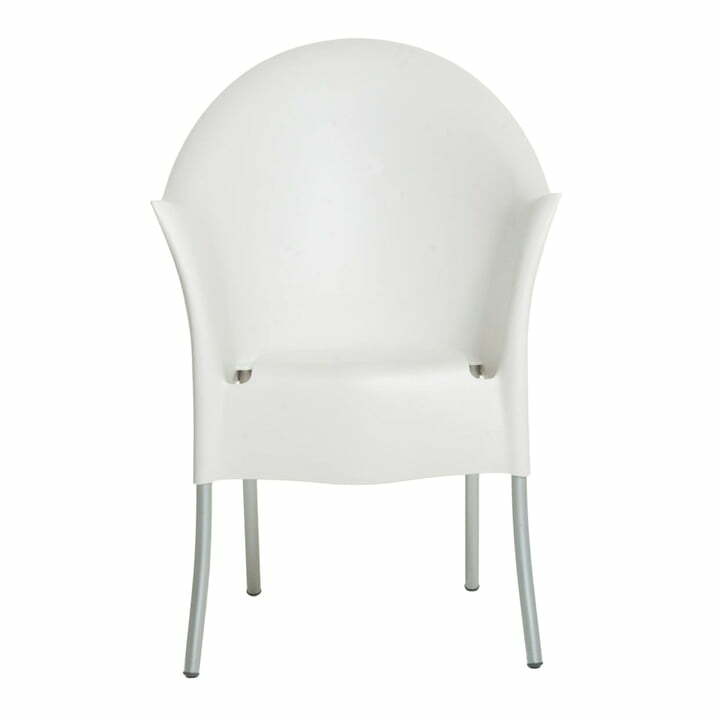 The polypropylene seat shell is available in ivory, apricot, red, white or blue grey. Also a self-extinguishing version in grey GFR is available. On top of that, there are removable covers for the chair. 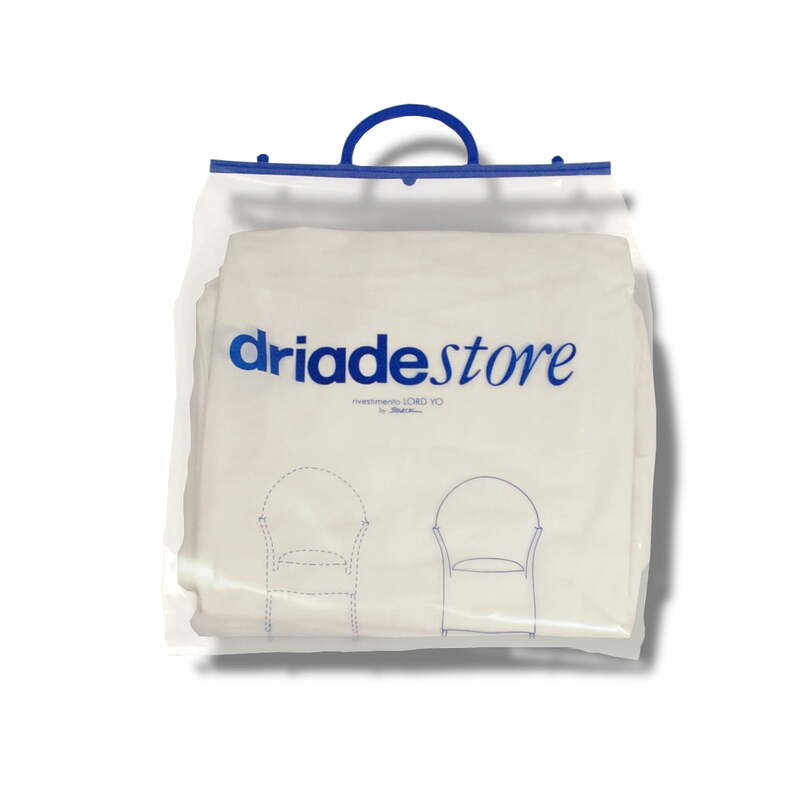 These are made of 100% sanforised cotton and have integrated, detachable seat cushions. The covers are available in white, orange, blue, green-grey and waffle piqué.